Joie Patisserie: Pantry Basics: What's the Deal with Organic? We've all seen the buzz words and the mountain of information about whether to pay more for organic and natural foods and the possible health benefits of them. But the more I hear about organic vs. natural foods, the more I feel like I don't quite understand. So, if I'm going to pay more for something I put in my body, I want to learn about why I'm paying more and whether it is worth it. This post is dedicated to shedding some light on the mystery behind organic foods and educating ourselves to be able to make an informed decision on whether or not to start incorporating organic foods into our diet. We'll also briefly touch on the difference between organic and natural foods at the end to make sure we're all clear on that one (I was surprised when I found out). 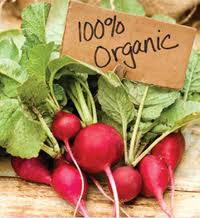 Lets start things off right - what does organic really mean? In the context of food there are two meanings to the word organic. First is in regard to the agricultural practices used to produce the food and second is in regard to the food itself. According to the Organic Trade Association agriculture meeting the standards of organic production is a system of farming that maintains and replenishes the soil fertility without the use of toxic and persistent pesticides and fertilizers. The Whole Foods website indicates that this type of farming emphasizes renewable resources, conservation of soil and conservation of water. These products are produced through agricultural management processes that promote environmental health and prohibit the use of GMO seeds or crops, sewage sludge (yep, some food production uses these products... its gross! ), long-lasting pesticides, herbicides or fungicides. Rather they focus on planting crops that actually belong in the terrain they're being planted in and focusing on raising healthy plants that can protect themselves from disease or insects rather than having to treat those conditions with nasty chemicals (similar to how if we eat well, exercise and generally lead a healthy lifestyle, we can fend off many illnesses we would have otherwise contracted). "Organically produced foods also must be produced without the use of antibiotics, synthetic hormones, genetic engineering and other excluded practices, sewage sludge, or irradiation. Cloning animals or using their products would be considered inconsistent with organic practices. Organic foods are minimally processed without artificial ingredients, preservatives, or irradiation to maintain the integrity of the food." What do the different Organic Labels Mean? There is a lot of uncertainty regarding what the different organic labels mean. See below for the USDA and the Canadian versions of the labels. Certified organic means that an item has been raised in line with strictly enforced production standards that are verified by independent organizations (in fact, the USDA verifies approximately 90% each year). Certification involves inspection of farm fields, processing facilities, detailed records, and periodic testing of soil and water to ensure that growers and handlers of organic food are meeting and maintaining compliance with the strict standards set out for organic food producers. 100% Organic - only made with organic ingredients. No antibiotics, hormones, genetic engineering, radiation, synthetic pesticides or fertilizers may be used. 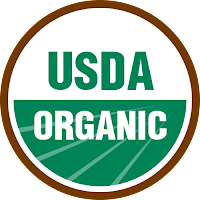 These items are allowed to display the USDA organic logo along with a logo stating who certified the particular producer as organic. Organic - Contains 95% organic ingredients. The remaining 5% coming from ingredients on the approved National list (there is some controversy surrounding this list - check out the OTA for more details). Made with Organic Ingredients - Made with at least 70% organic ingredients, 3 of which must be listed on the package with the remaining ingredients being on the National list of approved ingredients. These products may display the certifier's logo, but not the USDA organic label. Are Organic Foods Free from Pesticides and Chemicals? So - we've established that chemicals and pesticides aren't added during the production of organic food. Does that mean that organic foods are free from chemicals and pesticides? Nope! Due to the prevalent use of chemicals in North American farming practices and also in development of society, there are chemicals that occur in soil and in water. Organic produce may be inadvertantly exposed to these chemicals during the production process. What this does mean though is that organic produce has significantly lower levels of chemicals and pesticides than crops produced using conventional farming methods. What's the deal with how Expensive Organic Food is? Organic food is more expensive than conventionally farmed food. This is just a fact. But lets make sure we understand why this is the case. According to the OTA, there are additional costs associated with becoming certified organic. These costs support ensuring compliance with the rules to protect the consumer (such as inspections, regulatory functions, etc). Farmers obtaining and maintaining their certification tend to have more labour and management intensive operations due to the increased monitoring and different farming practices required by this method which result in smaller scale operations which in turn results in less economies of scale in production as are experienced in bigger farms. 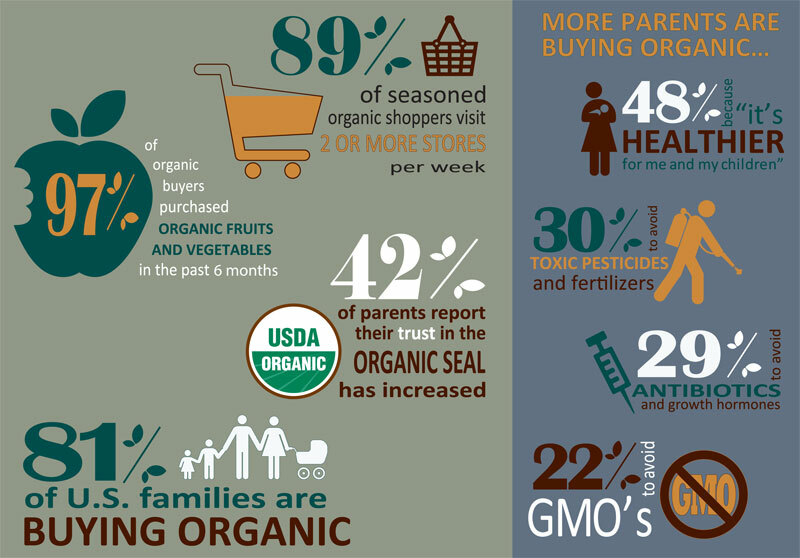 All of these factors contribute to higher prices of organic produce. Lets look at whether this organic food is really that much better for us to justify paying higher prices for it. There have been a number of studies done on whether there really are more nutrients in organically produced food. Studies are beginning to emerge that indicate that this is the case! In a number of studies, higher levels of some nutrients, antioxidants and beneficial fatty acids occurred in organically produced food vs. non-organically produced food. You can check out links to those studies here if you're interested. The general concensus among researchers though is that more research needs to be done before concluding that these claims are in fact representative of all organically produced foods. What we can say though, is that limiting our exposure to unnecessary chemicals and harmful agents can't be a bad thing. Paying a few cents more for organic food is hardly a high price to pay for limiting our exposure to such things. Organic food tastes great! I used to scoff at this one - "who can even taste a difference?" then I tried organic bananas. Its a night and day difference! Try it, you'll be convinced. Organic agriculture results in less chemicals and contaminants being put into our eco-system. Organic agriculture builds healthy soil instead of depleting it as conventional farming tends to do. Organic farming helps keep rural communities and small farms healthy. By producing a market segment for these farmers to compete, smaller operations are able to farm in an eco-friendly way while charging fair prices for their produce. If they had to compete with conventional, large-scale farming, there is no way they could cover their costs. Health of farmers and farm workers. High occurrences of cancer and other health issues have been noted in farm workers on conventional farms due to high exposure to pesticides and chemicals. Farming without these substances will result in decreased exposure and in turn decreased health risks for these workers. For future generations. If farming practices are sustainable and work in harmony with the land, we will preserve the land so that future generations can benefit from it and continue to produce healthy food for themselves. Those all seem like pretty good reasons to me! Those reasons were taken from the Whole Foods website and the Daily Green. One last topic I wanted to touch on is the organic vs. natural topic. I was under the impression that natural was a similar label to organic and that it was always a healthier option than "regular" food items. The label "natural" or "100% Natural" is supposed to mean that the product is free from artificial colour, flavour or synthetic substances. 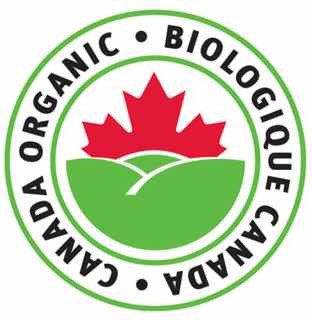 However, since this food label is not governed by any government body as Organic is, there is typically very little consistency in the natural label on products. When an item is labeled as organic (see above discussion) you know you can trust that the product truely is produced without those substances and has met strict standards to carry that label. I'm not telling you not to buy naturally labeled products. What I'm telling you is that it is even more important to read and understand the labels, ingredients and nutritional information of those products labeled as natural in order to ensure it truely is natural and free from unhealthy ingredients. Don't pay more for an item labeled natural if it isn't truely free from artificial ingredients! ﻿The above info seems like a fairly strong case toward starting to consume as much organic food as we can. I understand it can be a big adjustment in the budget department, but some foods are worse than others regarding chemical absorption. Here is a list of the Dirty Dozen and the Clean Fifteen. 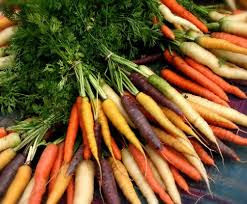 The dirty dozen consists of a dozen produce items that absorb more chemicals than their counterparts the Clean Fifteen. If faced with a choice of which organic produce items you can afford, stick to ensuring the dirty dozen are organic to minimize the health risks associated with the chemicals in non-organically produced food. Switching to organic is a gradual process - a little bit at a time is a great approach! It makes it manageable and less overwhelming. Remember - every little change you make in your lifestyle is a step in the right direction! I hope you found this post useful and informative! If you have comments on this post or have other great resources, please leave me a note below or send me an email! I would love to hear from you. Let me know if there are any topics you would like me to cover in upcoming pantry basics posts. Happy Cooking my Friends!